3600101 HLF15-II HYUNDAI HLF15-II GAS Forklift HLF series. Spare parts catalog. Service Manual. 3600102 HLF15-II HYUNDAI HLF15-II GAS Forklift HLF series. Spare parts catalog. Service Manual. 3600103 HLF18-II HYUNDAI HLF18-II GAS Forklift HLF series. Spare parts catalog. Service Manual. 3600104 HLF20-II HYUNDAI HLF20-II GAS Forklift HLF series. Spare parts catalog. Service Manual. 3600105 HLF25-II HYUNDAI HLF25-II GAS Forklift HLF series. Spare parts catalog. Service Manual. 3600106 HLF30-II HYUNDAI HLF30-II GAS Forklift HLF series. Spare parts catalog. Service Manual. 3600107 HLF20C-II HYUNDAI HLF20C-II GAS Forklift HLF series. Spare parts catalog. Service Manual. 3600108 HLF25C-II HYUNDAI HLF25C-II GAS Forklift HLF series. Spare parts catalog. Service Manual. 3600109 HLF30C-II HYUNDAI HLF30C-II GAS Forklift HLF series. Spare parts catalog. Service Manual. 3600110 HLF15C-3 HYUNDAI HLF15C-3 GAS Forklift HLF series. Spare parts catalog. Service Manual. 3600111 HLF18C-3 HYUNDAI HLF18C-3 GAS Forklift HLF series. Spare parts catalog. Service Manual. 3600112 HLF15-5 HYUNDAI HLF15-5 GAS Forklift HLF series. Spare parts catalog. Service Manual. 3600113 HLF15C-5 HYUNDAI HLF15C-5 GAS Forklift HLF series. Spare parts catalog. Service Manual. 3600114 HLF18-5 HYUNDAI HLF18-5 GAS Forklift HLF series. Spare parts catalog. Service Manual. 3600115 HLF18C-5 HYUNDAI HLF18C-5 GAS Forklift HLF series. Spare parts catalog. Service Manual. 3600116 HLF20-5 HYUNDAI HLF20-5 GAS Forklift HLF series. Spare parts catalog. Service Manual. 3600117 HLF20C-5 HYUNDAI HLF20C-5 GAS Forklift HLF series. Spare parts catalog. Service Manual. 3600118 HLF25-5 HYUNDAI HLF25-5 GAS Forklift HLF series. Spare parts catalog. Service Manual. 3600119 HLF25C-5 HYUNDAI HLF25C-5 GAS Forklift HLF series. Spare parts catalog. Service Manual. 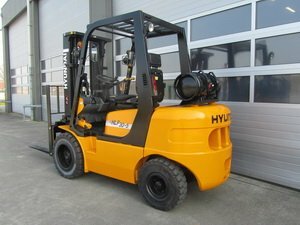 3600120 HLF30-5 HYUNDAI HLF30-5 GAS Forklift HLF series. Spare parts catalog. Service Manual. 3600121 HLF30C-5 HYUNDAI HLF30C-5 GAS Forklift HLF series. Spare parts catalog. Service Manual.